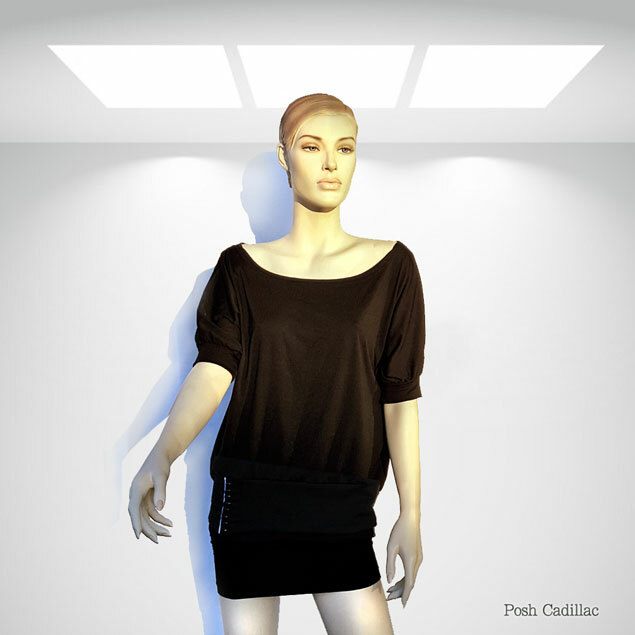 Due to its line, this black loose fitted top can be worn through the Summer as well as Winter with a tight fitted top below, ideally black. With a white stripe and button detail on the right front finish, this minimal and practical design is easily combined and quick to wear and go. Wear casual through the day and style it with chunky jewellery for a glam look through the night. 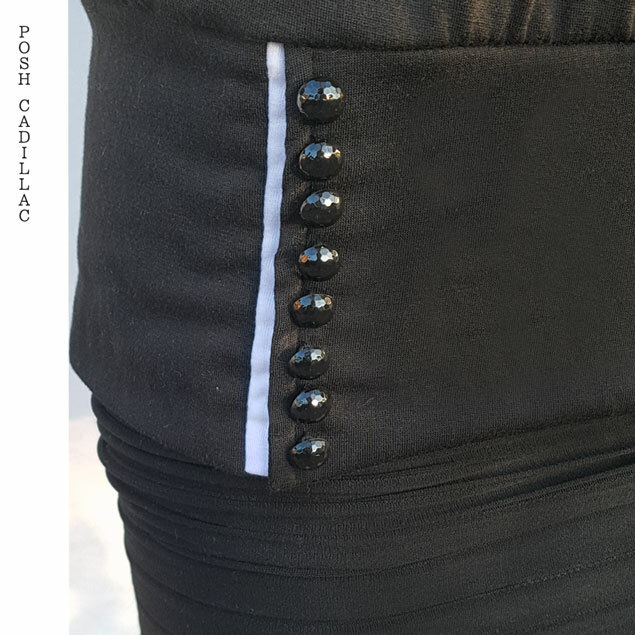 On the zoom in image besides the button detail, it demonstrates the length of the top (just where the buttons and stripe finishes). This listing is for the top alone; if you are interested in the set with the skirt, please check with us for availability.